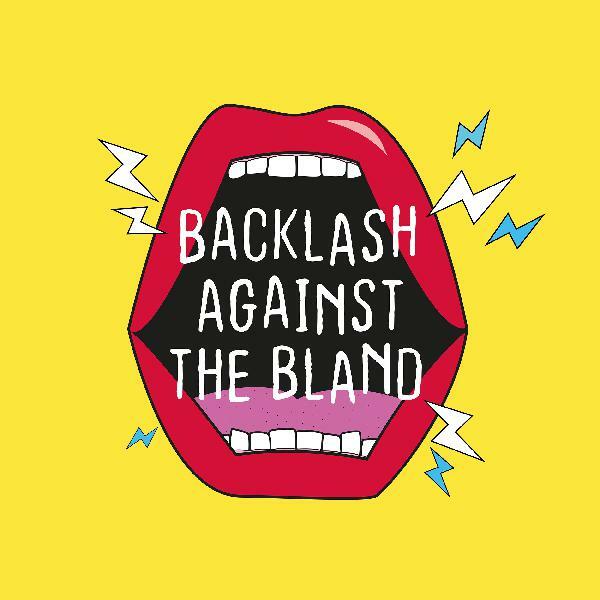 Backlash Against the Bland | Listen Free on Castbox. Backlash Against The Bland: asked by you; answered by experts, artists and activists - a series of conversations about burning topics including arts, culture and identity; that young people are asking but no one is answering, until now. Every episode features activists, academics, artists, young leaders and people with strong opinions. Things might get personal, they might get you shaking your phone, but it's time to backlash against the bland. This series is created by Free Radical, an art activist organisation in the heart of Birmingham, and supported by The Space and Arts Council England through National Lottery funding. Are we speaking AT each other and not WITH each other? In a generation of signing petitions, scrolling, retweeting, scrolling, speaking out and moving on with your day; how effective is social media in the fight for social change? Does the impact of social media create long-lasting impact or is it just a substitute for action?In this episode, we're discussing all of this and more as we ask 'Is Online Activism an Effective Substitute for Physical Action? '; taking audio clips live from an event hosted on Whatsapp, along with commentary from a few community members reading the conversation in our office. We're joined by Myles Dyer (Youtuber and motivational speaker), Luci Hammans (poet and activist), Paige Jackson (Producer), and Belal Stitan (student and artist).We want to hear you join the conversation, please leave your thoughts, opinions and feedback in the comments, ratings and at https://www.beatfreeks.com/blabpodcastThis podcast is supported by The Space and Arts Council England through National Lottery funding. It is hosted by Bethany Slinn and produced by Fabio Thomas. Graphic design by Bradley Morrison, animation from Malikah Holder, music by Earwax Addict, and sound and video editing by Pete Styles. Let's pick up these artists and let them shout proud about what they do for work. The arts is an industry of talented, passionate and dedicated professionals, but isn't it about time other industries started treating us as that? Isn't it about time a creative career in the arts is given the respect its due? Isn't it about time we started shouting about our real jobs?In this episode, we're discussing all of this and more as we chat about getting a 'real job' with a young artist and one of their parents; recorded in the studio, hosted by activist and artist, Bethany Slinn. We're joined by Ahsen Sayeed (photographer, filmmaker and member of the BAIT Collective) and his mum Shagufta. We want to hear you join the conversation, please leave your thoughts, opinions and feedback in the comments, ratings and at https://www.beatfreeks.com/blabpodcastThis podcast is supported by The Space and Arts Council England through National Lottery funding. It is hosted by Bethany Slinn and produced by Fabio Thomas. Graphic design by Bradley Morrison, animation from Malikah Holder, music by Earwax Addict, and sound and video editing by Pete Styles. Say it for the people at the BACK. Who runs Brum? This is a city full of dreamers, artists, and optimists, but... they're leaving us for London. What are the people in power doing to support young people in the city and what do young people think about Brum? It's time to get chatting.In this episode, we're discussing all of this and more as we explore "Who Runs Brum? "; recorded in the studio, hosted by activist and artist, Bethany Slinn. We're joined by Sideman Allday (Comedian and Broadcaster at Radio 1xtra) Selina Akthar (Free Radical YSC Board Member) and Zeddie Lawal (Community Developer at Free Radical). This episode is inspired by Brum Youth Trends 2018.We want to hear you join the conversation, please leave your thoughts, opinions and feedback in the comments, ratings and at https://www.beatfreeks.com/blabpodcastThis podcast is supported by The Space and Arts Council England through National Lottery funding. It is hosted by Bethany Slinn and produced by Fabio Thomas. Graphic design by Bradley Morrison, animation from Malikah Holder, music by Earwax Addict, and sound and video editing by Pete Styles. Mental health and wellbeing is hot on the agenda of news and media, but how do we engage with the issue in a meaningful way, and not just let it sit on the shelf?In this episode we're discussing all of this and more as we explore "Does Art Endanger Your Mental Health? "; recorded LIVE, hosted by activist and artist, Bethany Slinn. We're joined by Kiz Bangerh (founder of Dubgasm) Caroline Horton (Theatre Maker), Shazia Gulzar (Psychological Wellbeing Practitioner) and Martin Glynn (Academic and Writer).We want to hear you join the conversation, please leave your thoughts, opinions and feedback in the comments, ratings and at https://www.beatfreeks.com/blabpodcastThis podcast is supported by The Space and Arts Council England through National Lottery funding. It is hosted by Bethany Slinn and produced by Fabio Thomas. Graphic design by Bradley Morrison, animation from Malikah Holder, music by Earwax Addict, and sound and video editing by Pete Styles. Does Art Endanger Your Mental Health? In a world of saturated social media feeds, unwarranted comparisons and beef, there is a support system and potential of a black sisterhood in music.In this episode we're discussing all of this and more as we explore "What Has Changed for Black Women In Music? "; recorded in the STUDIO, introduced by activist and artist, Bethany Slinn. We're joined by Tia Cham, (radio presenter, episode host), who is in conversation with conscious rapper Lady Sanity.We want to hear you join the conversation, please leave your thoughts, opinions and feedback in the comments, ratings and at https://www.beatfreeks.com/blabpodcastThis podcast is supported by The Space and Arts Council England through National Lottery funding. It is hosted by Bethany Slinn and produced by Fabio Thomas. Graphic design by Bradley Morrison, animation from Malikah Holder, music by Earwax Addict, and sound and video editing by Pete Styles. What Has Changed for Black Women In Music? Who decides when an artist is emerging or established? When does your development end? And should you even let people label you in the first place?In this episode we're discussing all of this and more as we explore "How Do You Shake Off the Emerging Label? "; recorded LIVE, hosted by activist and artist, Bethany Slinn. We're joined by Sebbie Mudhai (founder of YAP Collective), Shirley May (founder of Young Identity), Chloe Deakin (filmmaker, founder of Herculean Visuals), Ben Norris (actor, poet) and Catherine Butler (creative producer, theatre maker).We want to hear you join the conversation, please leave your thoughts, opinions and feedback in the comments, ratings and at https://www.beatfreeks.com/blabpodcastThis podcast is supported by Arts Council England. It is hosted by Bethany Slinn and produced and edited by Fabio Thomas. Graphic design by Bradley Morrison, animation from Malikah Holder, music by Earwax Addict and video editing by Pete Styles.